In the age of constant change and disruption, how are organisations responding and what is the future of the workplace? In 2013, Chief Executive Officer of technology giant Yahoo, Marissa Meyer, reversed the firm’s popular work-from-home policy as part of its overall strategy to emphasise collaboration and communication at the workplace1. More recently in Singapore, both Google and Facebook reportedly increased their office space footprint by 300% and 350% to some 500,000 sq ft and 320,000sq ft respectively2. Ride-hailing firm Grab also announced that it will expand its offices to 80,000 sq ft in the Central Business District, to accommodate its Research and Development functions. Given the increasing adoption of technology and the Internet of Things enabling workforce mobility, such major office space occupancy particularly by technology frontrunners signify that the workplace remains not only as a fundamental solution for human interaction, but a competitive advantage in overcoming the challenges from an age of constant change and disruption. To stay competitive, organisations are driven to constantly innovate and transform, and with a growing millennial and contract workforce who thrive on flexibility and mobility at work, there is an urgency for organisations to adapt and bridge the gap between the current and future workplace. According to a research report on “Millennial Careers: 2020 Vision (Singapore)” commissioned by workforce solutions provider ManpowerGroup3, one of the key factors in better engaging and retaining millennial workers is to provide greater flexibility in where, when and how people work. Increasingly known as the “Gig Economy”, recruitment consultancy Michael Page’s 2017 Asia Salary & Employment Outlook found that nearly 70% of Singapore-based companies have been using contract hire, while 85% of companies surveyed in Singapore and Hong Kong have the intention to maintain or increase their contract hires over the next 12 months4. According to Lynne Roeder, Managing Director of recruiting firm Hays in Singapore, employers opt for short term hire in a bid to maximise the flexibility in cost and labour management. With a changing workforce and work styles, there is increasing recognition by organisations that workplace productivity needs to align with business strategy. In 2015, global financial services firm KPMG spent an estimated $7 million on agile workspace in its Adelaide office, as part of preparations for the digital age5. The new office layout aimed to reinforce flexible working as a way of life for its people, and is zoned to suit different working needs. Similarly, the LEGO group rolled out activity-based working in its London office to dissolve the traditional concept of “a department”, in favour of encouraging greater cross-organisational collaboration6. And the call for greater productivity in a technology-led age has led to the rise of Activity-Based Working (ABW), a form of workplace strategy where technology and behaviours enable people to choose where, when, and how they want to work most effectively at the office. The Harvard Business Review defines productivity7 in its most basic form. ABW is not merely hot-desking, remote- or home-based working. Rather, ABW provides employees with an experiential working environment and the choice of inhabiting the ideal work setting within the office. In recent years, ABW has garnered significant interest across various gateway cities within the Asia-Pacific region. A survey conducted by Knight Frank Office Advisory on six key gateway cities9 in Asia-Pacific revealed that over half of occupier clients are looking to adopt ABW in their new office space. Despite its rising popularity, ABW is not a one-size fits-all concept. At its most basic level, ABW means employees no longer have a dedicated work station but instead work where it best suits them for the day. 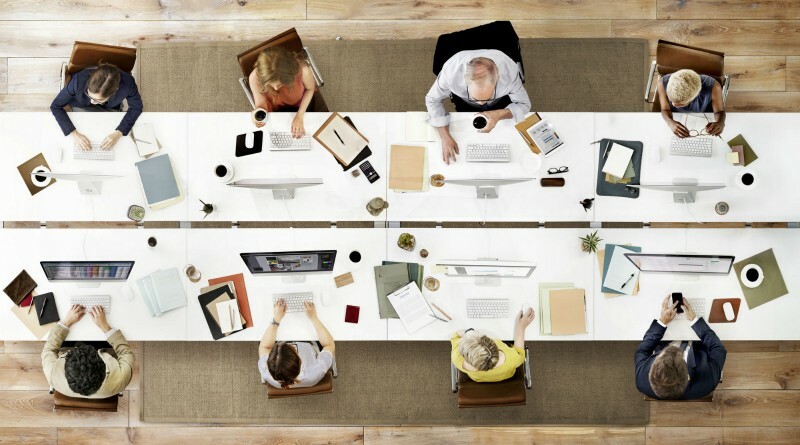 As the physical environment plays a role in shaping the emotions and behaviour of its occupants, the workplace can be a powerful catalyst for organisational change and business outcomes. Full report of “The Future Workplace” is available here. 1 Yahoo CEO Mayer Revives Debate Over Work-From-Home Merits, Bloomberg, February 2013. 2 Facebook tipped to move to Marina One, The Straits Times, January 2017. 3 Millennial Careers: 2020 Vision, Manpower, 2016. 4 2017 Singapore Salary & Employment Outlook, Michael Page, March 2017. 5 No phones on desks as KPMG spends $7 million on agile workspace for digital age, SMH, August 2015. 6 Lego Group Innovates Daily Work in London Office, Lego, 2014. 7 The Paradox of Workplace Productivity, Harvard Business Review, April 2016. 8 Melbourne’s co-working culture, Knight Frank Research Insight, July 2016. 9 The six cities are Sydney, Melbourne, Singapore, Shanghai, Beijing and Hong Kong. These cities are selected based on their status as key business and financial hubs within the Asia-Pacific region as well as within their respective countries.